How Judgments Granting or Denying Injunctions Can Become Moot on Appeal - Trepanier MacGillis Battina P.A. Plaintiffs in non-compete cases often seek an injunction to prevent a former employee from breaching his or her agreement and causing irreparable harm. Most non-competes, and most injunctions in these types of cases, have a duration of one to perhaps two years at the most. Because it can often take a year or more to litigate a case through to trial, and almost as long to get a determination on appeal, by the time an appellate court rules on district court decisions to either grant or deny an injunction, it is often too late to matter. A pair of recent court decisions illustrates this conundrum. In FIMCO, Inc. v. Funk, No. 18-257 (8th Cir. 2019), the Eighth Circuit Court of Appeals determined that an appeal challenging an order from the Northern District of Iowa dated November 6, 2017 granting an injunction of one year in an action involving a claimed breach of a non-compete agreement was moot because the injunction expired on its own terms on November 6, 2018 while the appeal was pending. In a brief opinion, the 8th Circuit ruled simply, “when an injunction expires by its own terms there is nothing to review.” Importantly, the federal appellate court noted that, “Funk did not seek a stay of the district court’s injunction pending appeal.” A request to stay by Funk’s attorneys might have preserved his ability to seek review and obtain the relief he sought. Litigators in this area should take note. Carter signed his non-compete with SJM when he was hired in 2007. He left SJM on August 21, 2015 and joined a competitor. In December 2015, SJM filed suit and asked the court to grant a temporary injunction. The court denied SJM’s motion. The case went to trial and the jury found a breach but no damages. After post-trial briefing the district court denied SJM’s motion for a permanent injunction in November 2016. Notably, by that time Carter had already been gone for over a year. SJM appealed in early 2017 and the Court of Appeals issued its ruling in October of 2017, at that point over two years since Carter started competing. As noted, the Court of Appeals held that the language of the contract mandated some sort of injunctive relief and remanded to the district court to determine what injunctive relief would be appropriate. Carter sought review from the Supreme Court, thus staying the remand, and the Supreme Court reversed in 2018 (just shy of three years after Carter left), holding in a widely-anticipated ruling that, “[a]llowing the terms of private agreements to dictate whether a court must issue an injunction would interfere with a court’s equitable jurisdiction and powers.” The Minnesota Supreme Court did acknowledge that irreparable harm “may” be inferred from breach of a non-compete, but not in every case. The lessons from these two decisions are as follows: (1) Injunctive relief should be pursued by the plaintiff as early as possible. (2) If granted, an injunction will be difficult to reverse on appeal, but a challenge must include a motion to stay to avoid mootness. (3) If an early request for an appeal is not granted, it will likely become even more difficult to obtain with the passage of time. And (4) a private contract mandating equitable relief in the event of a breach is not binding on the court. If you have questions about appealing an order either granting or denying an injunction in a non-compete case, contact the non-compete attorneys at Trepanier MacGillis Battina P.A. 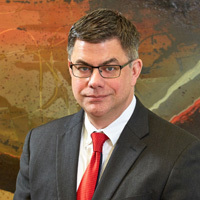 Minnesota non-compete attorney V. John Ella has represented both plaintiffs and defendants in non-compete cases for over twenty years and regularly practices in state and federal appellate courts. V. John Ella may be reached at 612.455.6237 or jella@trepanierlaw.com.